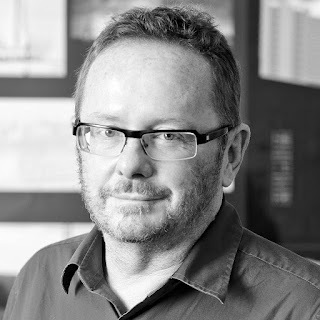 OHA+M (Ontario Heritage Act and more): Guest post: Michael McClelland on the OHA and the "New Heritage"
Guest post: Michael McClelland on the OHA and the "New Heritage"
I'm very excited to welcome the first guest on OHA+M: Michael McClelland. Michael will be familiar to most of you. Prior to founding ERA Architects Michael worked in the heritage departments for the cities of Vancouver and Toronto. He is a founding member of the Canadian Association of Heritage Professionals, a member of the Stewardship Council for the Cultural Landscape Foundation and current vice-president of ICOMOS Canada. Michael is the coordinating heritage architect for the Distillery District, has worked on numerous national historic sites and is the author of many heritage conservation district plans in Toronto. He is also the co-editor for Concrete Toronto – a Guide to Concrete Architecture from the Fifties to the Seventies and The Ward – The Life and Loss of Toronto's First Immigrant Neighbourhood. When the Ontario Heritage Act was first introduced in 1975, it was a remarkable step forward for heritage conservation. It demonstrated that heritage was highly valued both by the province and the public at large. It provided strong powers to municipalities and it tackled directly the thorny issues of property rights versus the public interest in heritage. Under the Act the designation of a heritage property could occur without the consent of the owner and without consideration of compensation, even though heritage acts in other provinces contained such compensation clauses. Its only weakness appeared to be limited demolition control – and this was changed in the revisions in 2005. In the original act municipal councils could refuse alterations to a heritage property but demolition itself could only be delayed by 180 days. This delay was presumably to give the municipality some time to negotiate with a disgruntled property owner. The 2005 revisions removed the delay period and gave councils the authority for outright refusal of demolition permits. While this refusal is appealable to the Ontario Municipal Board and while negotiation is still a valid consideration in much of the heritage designation process, the 2005 revisions created a significantly stronger Act. We are now ten years after the 2005 revisions and forty years after the act itself and it is appropriate to ask ourselves how well the heritage act is performing. Does it have strengths and weaknesses? Might there be room for improvement? To evaluate the Act, it is necessary to step back and look from a larger frame of reference. The questions really are — what do we think heritage is, why are we conserving it, and does the heritage act serve our current needs? In 1877, roughly one hundred years before the Ontario Heritage Act, William Morris and others founded the Society for the Protection of Ancient Monuments, and it is from this society that many of our standard approaches to conservation derive – we perceive heritage as an artifact, an artifact worthy of conservation, and we think of conserving heritage as intergenerational – we conserve as much for our children as for ourselves. But there is a difference. Morris’s society had an interest only in very ancient monuments and preferably ruins. It took until much later, with the founding of the Georgian and Victorian Societies in England in the early twentieth century, for attention to be brought to more recent buildings. These newer Georgian, Victorian and Edwardian buildings were buildings that Morris himself would certainly not have considered as having heritage value. With each heritage society there was clearly a sense that the building had to be from the past, but interestingly, with the founding of the each of these societies the distance between the valued past and the present become exponentially closer. The Austrian art historian, Alois Riegl, writing in the 1890s, added complexity to this discussion of what he called age-value. He argued that historical artifacts do not have value in themselves. The values attributed to them are applied by an engaged contemporary community. Heritage value is created in the present day. Julian Smith, a prominent heritage architect in Ontario, has provided an outline of how community-based values have been applied here. Corresponding to William Morris’s interest, Smith says that the initial interests in conservation in the province were ‘antiquarian’, implying looking at the oldest and possibly most archaeologically significant sites. In the later part of the nineteenth century there was a shift towards the ‘commemorative’ heritage site. These sites tended to be military – battle sites and forts – and here it was acceptable, unlike under the earlier antiquarian approach, to rebuild things, including complete forts, if it allowed a greater appreciation of the historic significance of the site. Few ‘antiquarian’ sites were left untouched by this ‘commemorative’ approach. This was followed by the ‘recreation and tourism’ response to heritage, something possibly connected to Canada’s 1967 centennial and still akin to much of the tourism we see today. Here the interest is not in isolated sites but a larger context of communities and environments that one could visit and experience. The argument is that the authenticity of the heritage resource was a touristic experience – and this in fact remains a global driver for tourism. But the interest in heritage has moved further. What is good for the tourist is good for the resident, and the last of Julian’s four stages in the evolving interests of heritage conservation is the ‘ecological or environmental’ stage. Heritage conservation can be seen as a fundamental component of place-making, creating a healthy and sustainable environment. And this is much more about the community that lives there than the tourist who visits. It is also not about specific buildings or sites but about the creation and stewardship of a sense of place. Ideally every place is based on specific history that can be explored, appreciated and managed. And this is how a discussion about heritage starts to get complicated. We can see that the identification of what is heritage and even the reasons to pursue heritage conservation have evolved over time. In 1964 when Eric Arthur wrote his definitive architectural history of Toronto, No Mean City, he stopped around the year 1900. Presumably for Arthur little built after 1900 merited recognition as significant heritage. But now in the local context there are grass-root campaigns to save graffiti, neon signs, old trees and 1950s retail strip malls under the name of heritage, and this broadening of the concerns for heritage has perplexed many of the more traditional conservationists. Along with societies to recognize and conserve Art Deco or Art Moderne, there are also societies to conserve all forms of architecture - the vernacular, the modern, the post-modern, and the commercial. Other societies address the related designed landscapes and open spaces. And this is a condition that is happening not just here but everywhere across the globe as more and more people are seeing heritage as a significant part of the environment in which they live. Internationally, ICOMOS and other organizations have started to redefine heritage. Gustavo Araoz, the current president of ICOMOS, has said that a paradigm shift has occurred in our understanding of heritage and how it contributes to modern society. And his position is reinforced by other international charters, such as the Faro Convention that links heritage most specifically to human rights. Heritage is not just about an historic site. In this international light, heritage is now seen as a complex matrix involving the environment and people’s patterns of use within that environment. Locally you could consider Kensington Market in Toronto. Is it the buildings, the produce, the ethnicity or even the sounds and smells that make Kensington Market a nationally recognized historic site? Potentially everything may have some heritage value to someone and to understand these new relative values requires us to look carefully not only at our artifacts but also our audience. This complexity is also seen in the world of art conservation, where again it would seem that almost anything could now be considered as art. Salvador Muñoz Viñas’s excellent book Contemporary Theory of Conservation discusses this dilemma for the fine art conservator – aside from the iconic masterpieces, how does the conservator decide, as a professional, what art works warrant conservation? And given the cost of conservation, how is the level of conservation determined? This may over-simplify Muñoz Viñas’s thoughtful arguments, but he argues first that while all objects may be art, they have different levels of importance – they may be important to a single person or family or they may be important at a broad international scale, with many steps in between. Secondly, the determination of what the fine art conservator is to conserve needs to be determined through an iterative discussion between the conservator, the expert, and the affected people, the public who value the art. The approach is inclusive, in that it recognizes the pervasiveness of the art object, and relativist, in that the expert cannot alone determine the outcome. This is a distinct departure from the traditional approach to art conservation which argued that art was a limited field and the conservator as expert, had the only valid opinion. There may be parallels here between fine art conservation theory and the current workings of heritage conservation in Ontario. The heritage act unfortunately appears to have a very strong binary component – heritage or not-heritage, without gradation, and this is similar to the more traditional approach to art conservation. This binary works very well for key heritage landmarks, and it is important that it continue to do so, but it works less well for what is Muñoz Viñas calls modest heritage and for the newer interests in the broad scope of heritage that threatens to flood the already over-worked system. The Ontario Heritage Act appears unprepared to deal with this larger cultural shift. The Act does include a regulation regarding criteria for designation but here again there is little help. The criteria are very permissive so that almost anything tested under the criteria could warrant designation. Is the building a ‘representative’ or ‘rare’ example of an architectural style? Surely most buildings are one or the other. Is the building a ‘landmark’? Is not every hospital, public school or local shopping centre a locally recognized landmark? So almost everything considered under the criteria tends to slide into the heritage bin, without gradation. The most effective definitions regarding heritage in Ontario are found, not in the Ontario Heritage Act, but in the province’s guide to the Planning Act, called the Provincial Policy Statement (PPS). The PPS was updated in 2014 and in that revision it again proposed some clear guidance for heritage. The PPS outlines why we do planning and states directly what is of provincial importance in the planning process. It provides definitions to explain what it means to ‘conserve’, and that ‘significant built heritage resources’ and ‘significant cultural heritage landscapes’ ‘shall be conserved’. This direction is relevant to the Planning Act because planners tend to see heritage as one of the many things they need to consider when making decisions regarding planning applications. In fact, the PPS makes it imperative that heritage gets due consideration. But overall the two acts, the planning and the heritage acts, appear disconnected. Why is it that the heritage act contains no mention of ‘cultural heritage landscapes’, or landscapes of any kind? Why does the PPS say that heritage resources can be significant or potentially less significant when the heritage act’s criteria for designation gives no hint that a tiered system might be permissible? Why do neither of the two acts provide an overall outline illustrating how they are intended to work together, for environmental, cultural or civic reasons? To be fair the ministry that produced the heritage act did subsequently issue the ‘Ontario Heritage Tool Kit’ as a way to make an explanatory guide for working with the Act and the City of Toronto recently adopted a series of heritage policies for their official plan, but neither of these address the fundamental weakness of the Ontario Heritage Act that it is binary and provides a limited and rigid set of legislative tools. No matter what can be said, increased usage of the Ontario Heritage Act won’t address Araoz’s description of the exponential growth of heritage and its paradigm shift in meaning. Imagine a Margaret Atwood novel where sometime in the near future everything has been designated. In this dystopia, the immutable heritage designation bylaws, however arbitrary or out-of-date, would control all civic processes and gradually bring civic life to a halt. What can be done? Working with the heritage act and the current planning policy may provide an efficient and flexible approach for addressing these concerns. Ideally, modeling a provincial policy statement for heritage on the PPS might be very helpful. The policy statement could provide a definition for heritage, a statement of its importance to the province and how it relates to other provincial policy – thinking immediately of connections to planning, culture, economic growth, sustainability, natural resources and aboriginal and immigration policies. The Provincial Heritage Policy (PHP), a name just proposed in this article, could outline different avenues for conservation of heritage resources, from the traditional designation under the heritage act for significant iconic heritage buildings, to the incorporation of heritage policies into all ranges of government policy. This could be a vital change, for heritage is in fact not the stale thing of designation descriptions, it is about how people define themselves within the context of a place, it is about how people determine what they value about that place, and fundamentally it is about how decisions for change, to improve and enhance the environments we live in, are made.